PiloTrac is a live pilot car system and FREE for carriers. Pilot cars of the future. That’s right! PiloTrac saves oversize trucking companies valuable time and money. As you can see on the map above pilot car locations are posted exactly where are right now as well as where they will be in the future. What this does in enables trucking companies to see where they are located when it comes time to them needing one. In the past this wasn’t anywhere close to the efficiency of the PiloTrac system. Trucking companies resulted to a network of pilot car companies that at times would have to send a pilot car from hundreds of miles a way in order to meet the needs of the carrier. This resulted in millions of miles wasted every year due to the lack of communication that the PiloTrac system offers. To see dates in the future simply click the date on the calendar on the lower right hand side below the map. It’s that easy! Click on any desired pin and their contact information is displayed. Visit PiloTrac now and discover how much easier you company can operate. 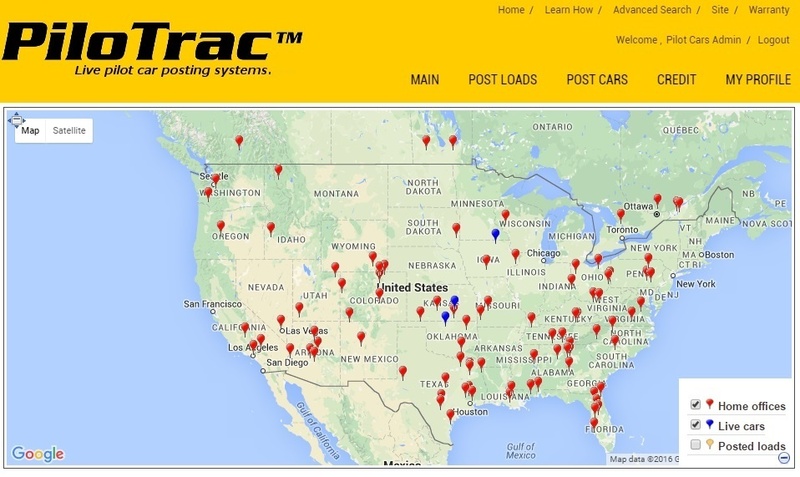 PiloTrac system is gold for oversize trucking companies.